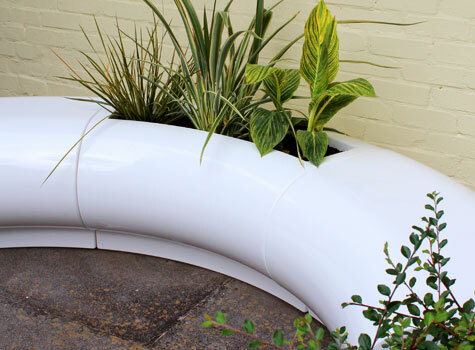 To complement our range of outdoor furniture we've introduced the stylish Halo planter. This hand-crafted planter is not only designed to look beautiful, it's durable and comes with a 5-year guarantee as standard. 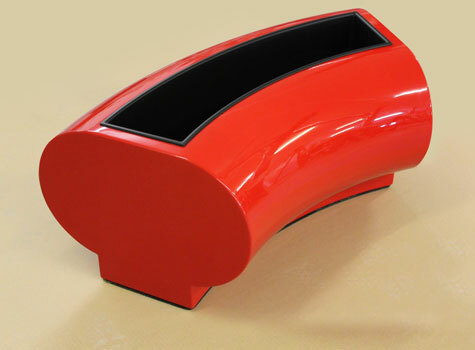 Made in any BS/RAL colour to match any colour scheme or corporate interior. 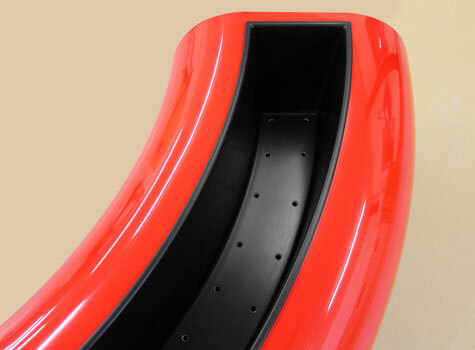 Manufactured in sections, to allow great flexibility in space planning. 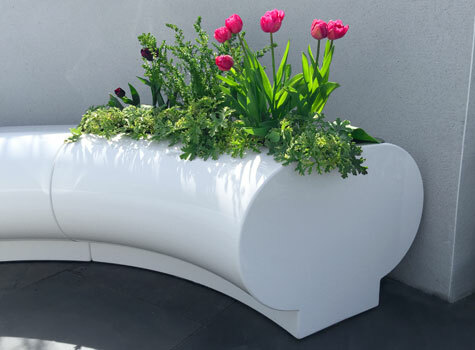 This seating is available in seating and planter options. 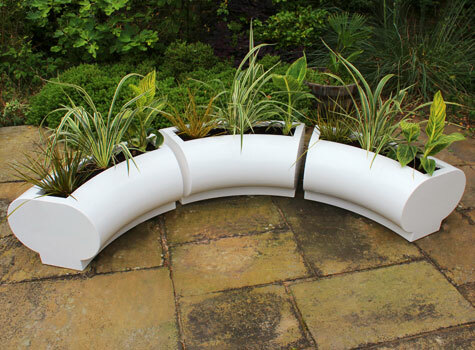 8 Halo planter or seats segments fit together to form a circle measuring 3m in diameter. 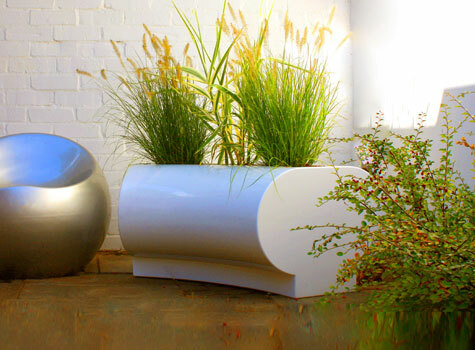 Halo planters & seating can be designed to snake around outdoor or indoor features. 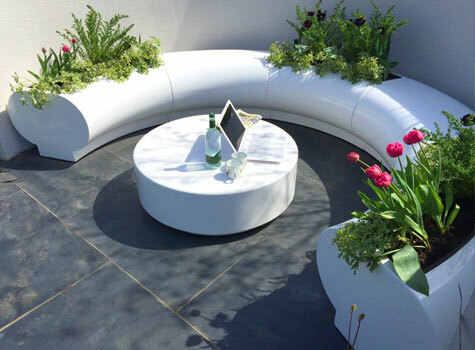 A smooth curved mushroom shaped seat makes Halo ideal to sit on both sides, match with Halo planters for a range of display options. Where are our Halo seating and planters used? Our Halo furniture is ideal for commercial and residential projects. 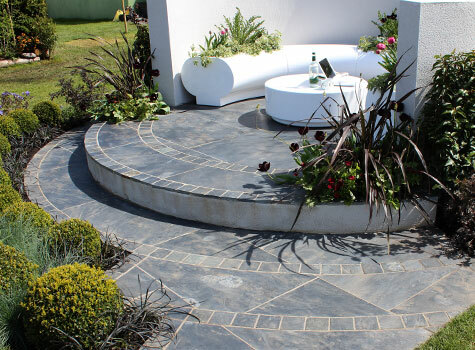 Who do we manufacture Halo seating and planters for?